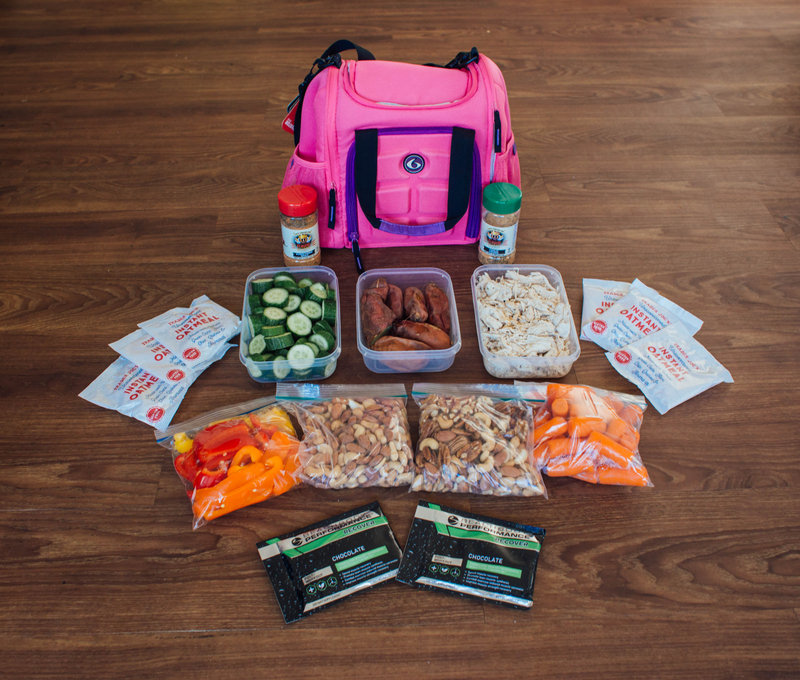 Traveling can definitely make it harder to stay on track with your health. Traveling for work too can be crazy since you probably won’t have much time to find places to eat or stop at the nearest market. I like having some of my go-tos on hand so even if I have time to treat myself or find new places for dinner, I have the option to eat some of my healthy favorites. Check out my spread for my Nashville Summit 2016 Trip. The cooler is a 6 Pack Bags setup. 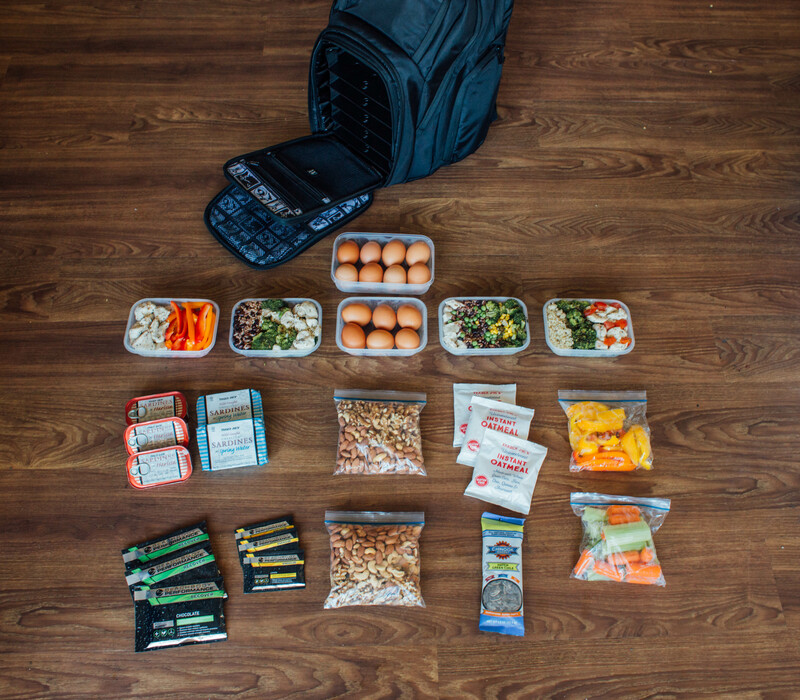 Chris Rocchio shows you the male version of what it’s like to meal prep for a trip. Click here to buy his backpack cooler. I always get asked if you can pack this stuff on the plane. The answer is YES! You don’t need to check these items. Any solid food is easy to bring through, TSA just doesn’t let you bring liquids on. So no soup or water my friends. Safe travels and let me know if you have any questions!